Damage from undefended attacks against you must be dealt to Gollum. 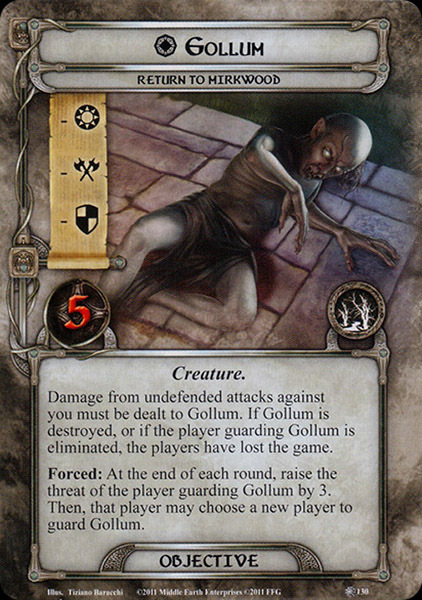 If Gollum is destroyed, or if the player guarding Gollum is eliminated, the players have lost the game. Forced: At the end of each round, raise the threat of the player guarding Gollum by 3. Then, that player may choose a new player to guard Gollum.